We have seen a few new shops opening in Ballymena recently, one of which is Red Star Music, opened by Ballymena School of Music. 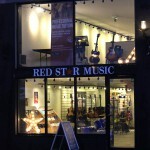 Ballymena School of Music have been offering music lessons for 8 years now from their premises at Ballymoney Road, but they have just embarked on this exciting new venture by opening their own shop – Red Star Music on John Street, Ballymena. Ballymena School of Music owners Stuart & Heather told Ballymena Today that they wanted to open Red Star Music so they could offer a complete music package. They said “We wanted to be able to provide musical instruments for our pupils and the greater Ballymena community and having our shop on John Street means we can now offer this. We are already stocking a great selection of guitars – electric, accoustic & bass, drum kits, a selection of other musical instruments and lots of accessories. Also a good range of music books from beginner to advanced levels and we have new stock arriving regularly” Red Star Music is situated close to the town centre in what was John St Gallery, where they have created a spacious and bright showroom filled with lots of gear for music lovers. 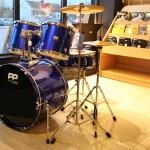 Up to 20% discount on selected instruments. 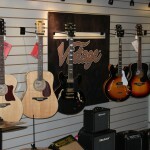 One FREE lesson with every instrument bought. Call at Red Star Music and let the expert team at Ballymena School of Music advise you which instrument would suit you best. You can go on to take lessons with them and get the best out of your new interest. 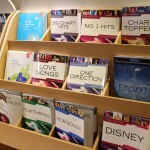 Check out Red Star Music on Facebook here and Ballymena School of Music’s website here or Facebook here.